For this year’s autism awareness month, I’d like to honor and celebrate the siblings. They love their brothers or sisters fiercely, yet quietly endure being dragged to therapists’ offices and doctor appointments and get used to only Mom or Dad coming to their events because one has to stay with their sibling. They often are forced to concentrate on homework amidst what reasonable people would call total chaos. From a young age, they have an awareness that at some point, they will likely become caregivers to their sibling. They may feel guilt about the fullness of their own lives (friends, sports, activities, travel, independence, college) in contrast to that of their sibling. They may feel pressure to be “the quiet one,” “the good one,” “the easy one.” They have become used to cancelled plans, destroyed or lost personal items, and giving up their own preferences to appease their brother or sister. They tirelessly stand up for their siblings when people ask questions, stare, or use “autistic” as a pejorative at school. Underestimate them at your peril, because they grow up to be extraordinary adults and you want them on your side. This one right here is my hero. The writer is a filmmaker who lives in Southern California. How to donate without donating? As with most charities we struggle for money but I have found an easy way for you donate without donating! Amazon have come over all charitable and started something called Smile Amazon. Here is how it works. And you are set up. You shop just as normal but Amazon will donate 0.5% of the net purchase price (excluding VAT, returns and shipping fees) of your eligible purchases, to the charity. You can choose to download a preference which will always open up Smile Amazon. It takes 2 minutes to set up and if you remember to shop this way we will get some money. We appreciate it is a tiny amount but if all our supporters do it we may get a significant amount, and we are such a small charity that any money is useful! It is about time Amazon gave something away so please do remember to switch. I spent last night in my room in peace. I went to bed around 11, watching a TV show and enjoying the silence of my house. My brother wasn’t home for the first time in a while, and we were able to relax for a few hours. The night before, I went to bed at 11, frustrated as I’d just had an argument with my mum. We were both exhausted as, for the fifth time that day, we’d dealt with my 17-year-old brother having a meltdown over – I kid you not – the Teletubbies. There is no physical way to explain to someone who hasn’t experienced autism what the emotional labour is like on a family. It challenges one beyond what they think they can cope with, because it forces us to take a look at life’s fundamental question: what is the point? The issue I broach is one that is rarely expressed in mainstream media and politics – that autism is not and never has been one uniform block of distinction. The actuality is this: autistic people are no more alike than neurotypical people; the condition is an intricate web of varying aptitudes, inabilities and struggles. There will never be an ‘accurate’ depiction of autism because it is not possible to instill the qualities of every autistic person into a single caricature, and that is widely acknowledged across the autism community. Even so, there is a ‘general’ notion of an individual with autism. Lacking social skills, including eye contact and perception of emotion and tone. Sensory overload, instances of stimming. Whether we mean to or not, when we hear the word ‘autism’, we construct an image of what we assume the person mentioned will be like. We do not think of the ignored edge of the autistic spectrum. The forgotten side of the spectrum falls to the “low-functioning” children; the ones who cannot feed themselves without making a mess, or perhaps not at all. The incontinent teenagers, the barely verbal adults. Those whose ‘mental age’ is much less than their physical. People like my brother, Stephen, who seem to exist only in their immediate family circle. For us, it is simple yet heartbreaking. Stephen will never be able to live independently. He requires constant supervision, can’t talk beyond basic requests, can’t use the toilet or dress himself; he can’t so much as cross the road by himself. He doesn’t grasp the notions of money and spending, or even of life in general. His autism is so severe that his world revolves around a rigorous routine of school and home. He thinks in numbers and colours and children’s TV shows. In brutal honesty, I don’t believe he knows what day it is. ‘Mainstream’ is a word that hasn’t left our lips in years. First of all, nobody truly recognises how tough it is merely to care for someone who needs assistance with everything. Stephen is 6 ft. 2 and has to be bathed, washed and nappies changed. Physically, and mentally, it is downright exhausting. His sleep schedule is non-existent and his meltdowns are unpredictable. His self-harming happens unexpectedly and can last for indeterminate amounts of time. These are the children you don’t see in autism awareness adverts; headbutting walls, smacking their heads, nipping and biting and scratching. It is the most draining thing to devote hours upon hours simply trying to prevent someone from hitting themselves, and a task that seems so stupid and meaningless in nature when you know that, come a few hours’ time, it will simply happen again. Secondly, there is no general understanding of severe autism sought. I mean, who can I tell? Family rarely if ever come to visit him, be it for reasons of ignorance or genuine lack of awareness. There is only so much empathy my employers can show me when they have never met him. I worry that friends won’t comprehend, or that they won’t want to know him. I positively panic that potential boyfriends will be put off by him, or reject the idea that he has to come first in my life. The media show nobody like him; journalists don’t bother to highlight our situation. Politicians have never asked what we might need. We are completely and utterly alone at our side of the spectrum, in the dark and in the cold. I am 19; I should spend my days fretting about having enough money to go out at the weekend and passing exams to get my degree. My biggest fear about the future should be whether I’m going to achieve my dream job, what countries I will travel to. Instead, I worry about what will become of my brother. He understands nothing of pain and manipulation and danger. My brother is so bearing on the spectrum that he needs round the clock care, and when I am the only one left to do that, how will I cope? And you know what? I love him so much. I love him more than anything in this world, because if anything he is pure. He doesn’t know anything of sickness and pain; he has no awareness of hatred. All he knows is his little bubble of love and care that we provide for him, and in some ways I envy him. He makes me laugh with his wittiness and smarts, and he has kept me going through some rough times. He is a positive influence on my life, and I am not taking away from what he is or has done for me. But the reality is this: we are tired, and we are alone. Families on the severe end of the spectrum feel they cannot write into support groups, because often their experiences feel too extreme. It is impossible to ever establish a sense of normality, or to lull ourselves into the illusion that things will get better. Our children and family members are not just struggling socially, but struggling merely to exist, to function. With no consciousness among the general public of how hard it truly is, there is no relief from this feeling. We simply have to get on with it. We must continue to take care and love a person who will never comprehend what we have done for him, how much we have sacrificed for him, and will never thank us for it. Understand this also: if you are part of a neurotypical family, you take much for granted that we will never experience. Family dinners out don’t exist. Holidays could never happen. Stephen will never attend a school disco, bring friends over for dinner, or bring home a partner. I will never get to ask him, “do you want kids?” There will be no wedding for me to attend. Never will he have the satisfaction of a job, a home, a sense of fulfilment in this world. This is what makes my heart ache the most: my brother simply doesn’t understand his own existence. This is why, when asked the loaded and complicated question of, “would you take away Stephen’s autism if you could?”, my answer is yes. He doesn’t understand his actions, or the consequences of them – the hurt and exhaustion, but also the happiness and love, that he brings on our family. He makes no decisions about himself or his future, and has no comprehension of any normal, everyday concepts that we grasp so simply. We all want the best for our children; all Stephen wants is a box of Teletubbies and a can of Diet Coke. We don’t have the luxury of forgetting about it. You probably don’t see these children often – families find it hard to take them out in public, as it is much too stressful and we are judged immensely. These children don’t attend your children’s schools; they simply pass you in traffic on a bus, so you don’t have to experience their presence. You have the luxury of avoiding “low-functioning” children altogether. In a 24 hour, 7-week job, we do not. The reality is that it cannot be taken away. Whatever becomes of us, we will continue caring for Stephen far into the future. All that I ask for in this time is awareness of the hardships autistic families go through in the meagre task of existing, of living at home. As invisible as we may be in everyday life, we are here, sacrificing normality in the name of love. Don’t forget about us. *The first somewhat mainstream representation of the broader spectrum of autism that I have ever come across is Louis Theroux’s Extreme Love: Autism, which shows children attempting to navigate their way through a mainstream school, verbal children on the cusp of being integrated into “normal” life, all the way to children who are barely or non-verbal and have serious self-harm issues. For those willing to delve into the world of autism, it’s a good start. It is available to stream on Netflix. 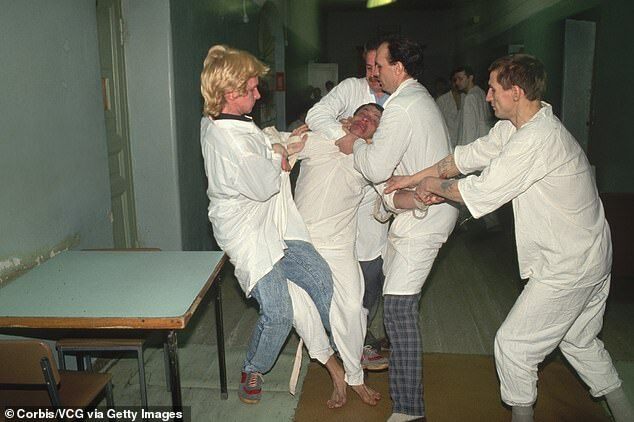 A mental health nurse has revealed she saw staff in a secure psychiatric unit restrain a patient with learning disabilities so violently that they broke his neck – then left him lying in his own waste over a weekend. The man was only taken to hospital two days later, after doctors intervened, and was found to be paralysed. The senior team leader, who does not wish to be identified but I will call Elaine, says she was then asked to assist a cover-up at the NHS hospital but refused and quit her job instead. The whistleblowing nurse, an expert in restraint techniques, stepped forward following our campaign to stop the routine locking up of teenagers and young adults with autism and learning disabilities. Last week, two other nurses and a senior carer blew the lid on what they called ‘shameful institutionalised abuse’ taking place behind the locked doors of a different institution, Meadow Lodge, a privately run unit in Devon funded by the NHS. Ian Summers said he saw patients more often violently held down, attempt suicide and forcibly drugged while working in the unit holding vulnerable teenage girls than when he looked after killers and psychopaths at Broadmoor high-security hospital. This newspaper has spoken to more than two dozen distraught families – some breaking gagging orders – who have told how their children have been taken from them for years and stuck inside unsuitable secure units that only lead to mental deterioration. 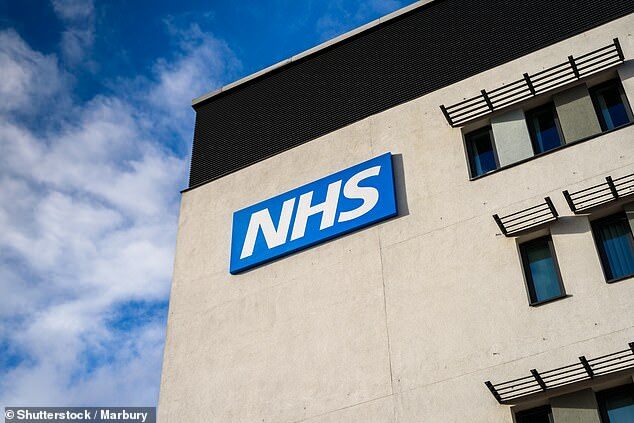 Much of their anger has been focused on private firms charging up to £730,000 a year for each patient – but the hideous story revealed by Elaine took place in an NHS psychiatric unit in the South of England six years ago. She said the carers held him down before dumping him in a tiny seclusion cell. ‘Normally he would pace up and down in there but he lay on the floor in his own faeces and urine. They said he was putting it on and left him there for two days. 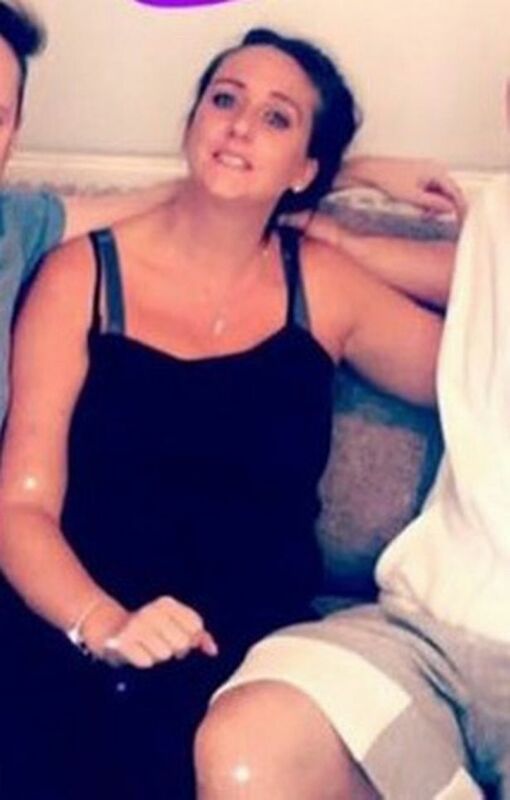 She was relieved to leave a system she had joined full of idealism, inspired by an autistic godson and a relative who killed himself, but came to hate over 12 years working in secure units and ‘short-stay’ assessment and treatment units (ATUs). The nurse said there was frequent abuse and bullying of patients – one man with Down’s syndrome who loved drawing would have his crayons hidden by staff to infuriate him – and regular over-medication to sedate people. ‘There is this view that staff are normal people and patients are not, which leads to institutional abuse across these ATUs and secure units. ‘It is difficult not to get sucked in and become part of the system. I have worked in more than ten of these places and I wouldn’t put my dog in one. They should be bombed. The use of restraint in ATUs has soared in recent years, rising from 15,065 incidents in 2016 to 22,620 in 2017. There is also growing concern over use of long stretches in solitary confinement, with patients held in padded cells under permanent observation. ‘If someone shows signs of challenging behaviour they are secluded, which is awful,’ said Elaine. ‘Imagine being placed in a room 6ft by 6ft with a plastic mattress and no access to a toilet unless a full restraint team accompanies you. Families have complained that this kind of incarceration is ‘a spiral of cruelty’ since innocent people are shut in conditions that only serve to intensify their anxieties and stresses, which then makes it harder for them to win freedom. Yet this latest whistleblower, who now works to free patients, said families do not have a clue what really goes on behind locked doors. This is a terrifying indictment of our public services. Yet it is one I have heard echoed by despairing families, such as one distraught man who asked for three days’ respite help only to have his autistic son locked away for three years so far. Elaine believes a broken system is being fuelled by big profits, with private groups expanding operations despite Government pledges to move people with autism and learning disabilities back into supported living in the community. There are 2,375 people with autism and learning disabilities held in assessment and treatment units at a cost of about half a billion pounds a year, with the number of children more than doubling over the past three years, and scores more are held in other secure units. One man is thought to have cost taxpayers £10 million after being held against his family’s wishes for 18 years. 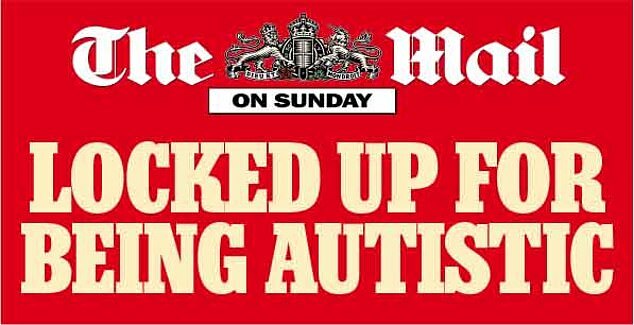 A major investigation into the abusive care of patients with autism is set to be launched by MPs – the fourth since The Mail on Sunday revealed how hundreds of teenagers and young adults are being locked up, forcibly drugged and violently restrained. 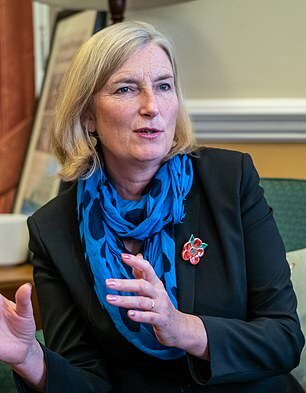 It is understood the Health and Social Care Select Committee, chaired by Conservative MP and former GP Sarah Wollaston, will examine the scandal and the floundering care system that leads to routine abuse and detention. Westminster sources confirmed they were deciding on the scope of the investigation, which is likely to begin in the spring. ‘We are very keen to look hard at these issues,’ said one key figure. 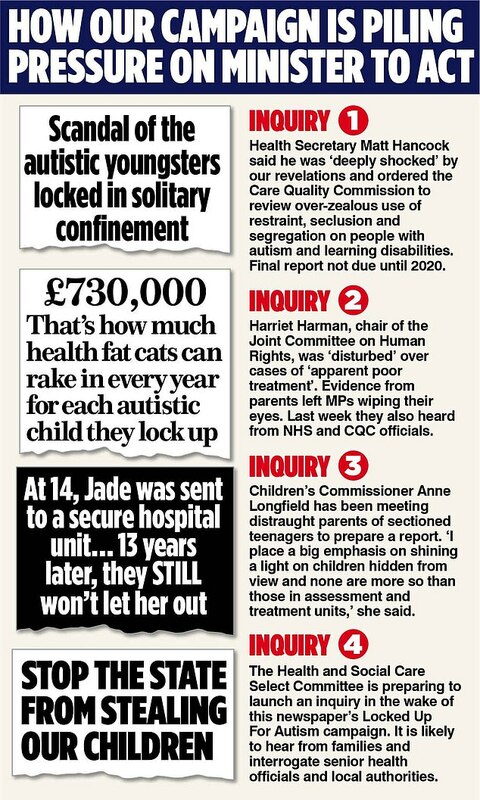 Health Secretary Matt Hancock has already told the health watchdog the Care Quality Commission (CQC) to investigate after admitting that he was ‘deeply shocked’ by this newspaper’s revelations that children as young as 13 were being incarcerated in secretive secure units. Distraught families have told how relatives with autism and learning disabilities are locked in solitary cells, fed through hatches like animals, and forcibly injected with drugs to sedate them. One man has been held for 18 years, and 40 autistic patients have died in assessment and treatment units since 2015, often in abysmal conditions. But a group of cross-party MPs last week accused Mr Hancock of ‘backtracking’ over such ‘inhumane detention’ in the Government’s new ten-year plan for the NHS. The plan only commits the NHS to reducing the number of people with autism and learning disabilities in hospital units to less than half the 2015 levels by 2024, despite previous pledges to end such detention. The MPs – including former Liberal Democrat Minister Norman Lamb, Labour’s Shadow Minister for Mental Health and Social Care Barbara Keeley, and Tories Johnny Mercer and Charles Walker – accused Mr Hancock of abandoning a target to cut numbers held by up to half by March this year. Mr Lamb, who organised the letter, said he was horrified that the Government was effectively encouraging the NHS to ‘take its foot off the pedal’ to end abuse. Mr Walker, who has admitted to his own mental health issues, called on the Government to act quickly. ‘This has been overlooked for too long and we can’t let this suffering continue,’ he said. Harriet Harman, chairman of the Joint Committee on Human Rights, which has already started its own investigation, has also written to Mr Hancock over ‘perverse incentives’ that lead to detention in ‘inappropriate’ institutions. She demanded to know if private providers had a ‘vested interest’ in keeping autistic patients locked up, which can cost taxpayers £730,000 per person a year. Ms Harman also asked if divisions between the NHS and local authorities stopped patients being freed. ‘This is not a good use of public money given that community care is often less expensive than inpatient care,’ she said. Her letter followed questioning by the committee last week of three senior NHS and CQC officials. ‘They just spouted gobbledegook and theory,’ said one infuriated MP. The Mail on Sunday has also discovered that a report commissioned by the Department of Health and Social Care before the Winterbourne View scandal in 2011 – which revealed abuse in a privately run Gloucestershire care home – warned that the model of private provision, funded on debt, would frustrate efforts to free those being confined. After the Government refused to publish the findings, it was released by a think-tank. Over the past decade, the proportion of people with autism and learning disabilities in privately-run beds has soared from one-fifth to more than half as new players muscled in and opened secure units despite Government pledges to close them. Children’s Commissioner Anne Longfield is also investigating the scandal. THE STRUGGLE IN SEND HURTS US ALL. IT’S A SIGN OF SOCIETY GONE WRONG By Tania Tirraoro. Yesterday I was interviewed by BBC TV news about the Ofsted Annual report. It’s not an unusual occurrence, being contacted by various news organisations to talk about the crisis in SEND. It’s just depressing after more than a decade – and four since the “reforms” – I’m still having to say the same thing. Almost every report that comes out of charities, researchers, Ofsted and the DfE’s own commissioned research – many of which we have covered on SNJ — reports the same picture: Not enough money, not enough SEND in teachers’ training, too many children being excluded, too many poor outcomes for disabled children, rising numbers heading to Tribunal, not enough mental health support in schools, too high criteria for access to CAMHS, insufficient support in mainstream, too, too many children in crisis. It physically hurts to keep writing about it. And I know, from having been there, how much it hurts families going through it. I want to give up and run away and do something that actually pays, now my boys are older (My eldest was 21 earlier this week, my youngest is 19). But those families still deep in the hell that is the SEND process, and those about to plunge, cannot walk away; indeed, they know they MUST not walk away despite the stress, the hurt and the fury that the system invokes. The headlines of the report were covered in the press yesterday, who can jump on it early but whose reporters miss the depth of context, so I’m adding further quotes from the report here. The BBC producer I spoke to yesterday for example didn’t know about the SEND inquiry. This is why, although it’s heartening that I’m constantly asked for help by journalists covering the SEND story du jour, the fleeting nature of the news cycle means it’s forgotten the next day. “Something is deeply wrong when parents repeatedly tell inspectors that they have to fight to get the help and support that their child needs. And I’m not talking about middle class parents wanting extra time in exams for their child. I mean adequate support for our most vulnerable children with SEND, which is a basic expectation of a decent, developed society. We need to do better. The Ofsted report was damning in the extreme about SEND provision – all it had to do was look at the results of its own (and CQC’s) SEND area inspections, where almost half of those local areas so far inspected have failed to meet expectations. And we’re still not even halfway through the first round. And, I might add, that any number of those areas who “passed” their SEND inspection should not have, according to local parents. That translates to tens of thousands of disabled children being failed by their school, health service, social care and local authorities. And, as I said, that’s just from the areas that have been inspected so far. It’s sickening. Because these are not inanimate institutions, they are run by tax-payer-funded human beings who are systematically failing in their legal duties, and their jobs, to support vulnerable children. “… the quality of these (EHC) plans is far too variable within some local areas and across the country, and contributions from care services to EHC plans are weak. The areas that have successfully implemented the government’s reforms are jointly commissioning services that support parents and lead to good outcomes for young people…. Or at least they wouldn’t have needed and EHCP if they’d had early enough intervention. LAs know early intervention works—and yet so many deny assessments at an early stage and have closed, or are planning to close, local Children’s Centres. They expect parents, often without cars, to be able to travel across or between towns via expensive or non-existent public transport – with children in tow – to get to their next nearest. Ain’t gonna happen. Yes, partly, but it’s far from the only reason. Lack of funding is integral, especially fully-resourcing the 16-25 year olds who were promised much, only to discover the Children and Families Act has played out like the proverbial Mercedes in the driveway but no food in the fridge. If that’s too obscure, it means it’s all show and no substance. But it’s lack of culture change that is just as important. The very thing we have said from the beginning that was crucial to success. I haven’t heard much in the SEND inquiry about this specifically (though see more, further down). Fine words about improving outcomes for children with SEND, as echoed in LAs up and down the land, have not, and are not, translating into changes in belief. It’s like their lips are moving but their heart’s not in it because somewhere, deep down, they think it’s either the fault of feckless or faulty parenting or, conversely, middle-class, sharp-elbowed parents “gaming the system”. I thought this attitude had disappeared, but I was asked this very question on LBC Radio just the other week. Yes, I gave him an ear-bashing, but the “hostile environment” brought by austerity and compounded by Brexit, has ramped up attitudes against anyone who needs to ask the state for some kind of help, against people with disabilities and against those from racial minorities. Ofsted describs off-rolling as “the practice of removing a pupil from the school roll without a formal, permanent exclusion, or by encouraging a parent to remove their child from the school roll, when the removal is primarily in the interests of the school rather than in the best interests of the pupil. Off-rolling in these circumstances is a form of ‘gaming’’. This is not the same as a formal, legally conducted exclusion and Ofsted has identified around 300 schools with ‘exceptional levels’ of pupils coming off school rolls and not reappearing elsewhere, between Years 10 and 11. Ofsted acknowledges it’s the most vulnerable children who are more likely to be excluded or off-rolled. Its new education inspection framework (EIF) is aimed at changing this, by focusing more on inclusion as a mark of a good school, and less on league tables. Will it make a difference? Let’s keep watching. At the same time as the Ofsted Annual Report was making news, six parents of disabled children were taking part in the SEND Inquiry hearings before the Education Select Committee in Westminster, three of whom represented parent carer forums. The parents’ stories in the first half were bad and difficult to hear but not unique, far from it. They are stories we’ve heard repeatedly If you want to watch it all, you can do so here. Earlier this week, the Inquiry published 600 submissions to the Inquiry and said it will still accept further submissions until the publication of the report. Taking up this theme was the stand-out speaker, for me, Penny Hoffman-Becking. Penny is from Kingston and Richmond where her PCF, SEND Family Voices, recently closedbecause the local authority was refusing to work with them, leaving them to conclude that co-production in that environment and culture just wasn’t possible. I’ve isolated a few minutes of Penny speaking because what she says sums up the experience of many parents who have worked their guts out in PCFs, only to end up disillusioned and exhausted. I urge you to watch and tell us if that’s also your experience too. The other issue is Brexit, yet again. If parliament is dissolved because of a snap election, the SEND Inquiry goes bye bye. And that really will be a tragedy. 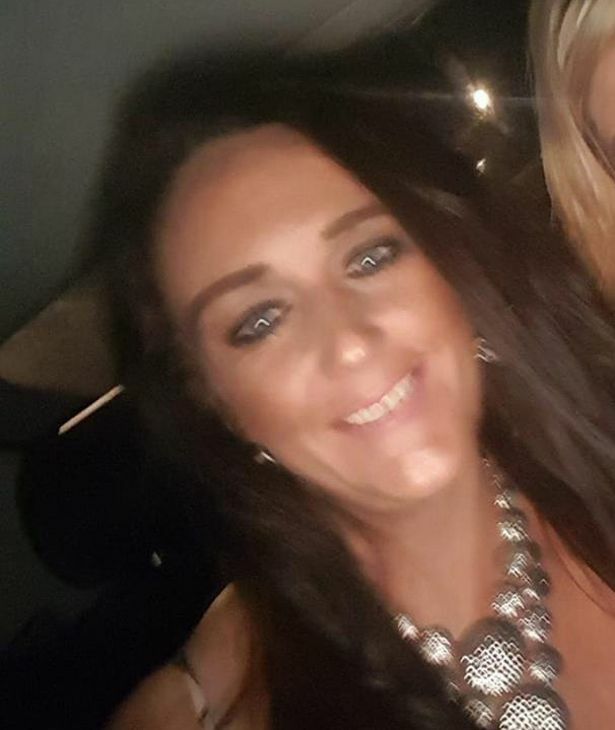 MANCHESTER EVE NEWS ‘An inquest heard that former sea cadet Jane Kavanagh, 33, killed herself the next day after struggling to get support from council and healthcare officials. A single mother who killed herself after struggling to care for her disabled daughter called her GP to say she was suicidal – and was offered an appointment 12 days later. 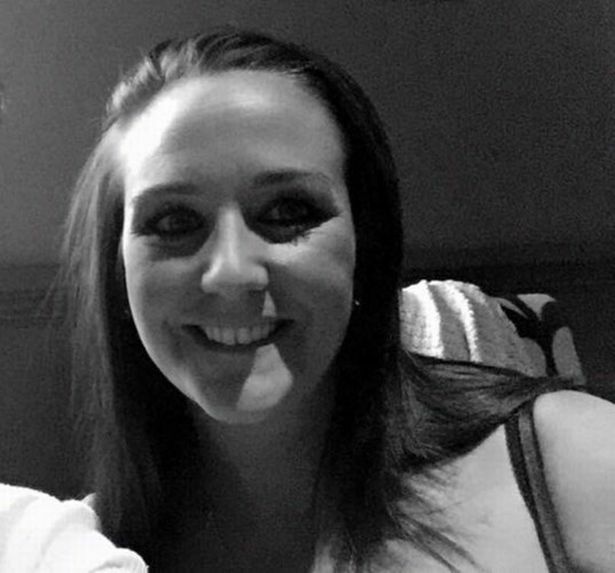 An inquest heard that former sea cadet Jane Kavanagh, 33, killed herself the next day after struggling to get support from council and healthcare officials. She had been a full-time carer to her 15-year-old daughter, who was autistic and suffered from the degenerative condition cerebral ataxia. Her parents did offer support, but their house was deemed ‘inadequate’ by council officials in Rochdale – so Miss Kavanagh and the children had to move to a messy nicotine-stained property described by family members as ‘appalling’. She was later found by neighbours hanged at her home in Rochdale having earlier left the children with Mr and Mrs Farrar. Miss Kavanagh killed herself on Saturday, April 21, this year. It emerged during the inquest that on the Friday she had called her local GP surgery and explained that she had suicidal thoughts – she was offered an appointment for 12 days later. Tests showed she had been surfing the internet for ways to take her own life. At the Heywood hearing Mrs Farrar wept as she said: “Jane was 19 when her first child was born and she had some difficulty with getting assistance from the authorities and she became her full time carer. “Her eldest was diagnosed with autism but it took a few years for the authorities to accept that. She then started having trouble with her leg, which got worse and worse, and she was diagnosed with cerebellum ataxia in 2015 – she was just 12 and had lots of hospital appointments in Manchester and one in London. ”We helped when we could and they all used to live at our house, but they conducted a review and moved them out to a bungalow and her daughter moved to a specialist school. “Jane wasn’t getting assistance at weekends or evenings. She was offered no respite. Her other daughter had some assistance from her dad. “She wanted help for in the mornings, getting them washed and dressed and ready for school. She was looking after two children essentially on her own and she struggled. At first she was staying with us and her two children and there were no adaptions to the house or anything. ”She then went to a rented bungalow, but there wasn’t enough room for them all, so she was told to go to this new address as they said there was nothing else available. It was a mess, the walls were covered in nicotine, it was in an appalling state. She had to paint it and clean it herself. “There was nothing there for her daughter, no adaptations to the bathroom, the bedrooms were upstairs, there wasn’t even a grab rail for the stairs. She had to shuffle on her bum to get upstairs. She spent the last 15 months in that property. ”She lost a lot of weight and she sometimes rang up distressed and said she felt she would end up in a psychiatric ward. We were concerned about her drinking, she was drinking a lot. She had financial issues too. “On April 21st we had her daughter stay over on the Friday night, Jane then came over the Saturday morning to pick her up. She got her about lunch time and then came back at teatime. She told us she had eaten, so she had something. She seemed to be in a happy mood. “Jane then asked to go to her friends and promised she would be back for 8pm. She didn’t come back. We expected her to stay over. Her daughter rang her, but her phone was off. Miss Kavanagh’s GP Dr Ayman Ramadan said: “In March 2018 she was talking about feeling depressed and her mother came with her. Although she seemed well, she was low in mood and was encouraged to self refer herself to ‘Healthy Minds’ so she could help herself. Recording a conclusion of suicide Coroner Nicholas Flanagan said: “Jane struggled to obtain support and assistance in her care of her eldest daughter. She had significant help from her parents who lived close by and they provided a lot of assistance. “They initially moved into a bungalow but they did not have the sufficient space as Jane did not have a bedroom. She was supplied with a property, which was not adequate. “There was no mechanisms for her daughter to go downstairs, get into the bathroom or go to her bedroom. Nothing was adapted. The property was not in a good state of repair. They found it difficult to live in there. “This affected Jane’s ability to care for her children and the cause of her stress was down to the care of her daughter. In December 2016 she presented to have gone through a mental health crisis and she was prescribed medication to alleviate the depression. “There is no evidence her medication was regulated or reviewed. She was advised to self refer herself to the appropriate services. On April 20th, Jane rang the GP again and she said she felt suicidal. She requested an appointment and was provided the next available date on May 2nd, some 12 days later. There was no evidence a GP or clinician considered Jane’s case following the phone call. “There is no evidence other organisations were being called in or were called by way of explanation for how Jane was feeling. I find Jane suffered from depressive conduct due to her being the primary carer. THE ROYAL PARKS HALF MARATHON 2018 LONDON IS DONE…THANKS TO ALL OF YOU WHO SUPPORTED ME FROM THE BOTTOM OF MY HEART. ROYAL PARKS HALF IS THIS WEEKEND -click on link for latest news on Lucinda and new photos!